Disclosures by former NSA contractor Edward Snowden, who provided leaked documents for published reports in European and Latin American newspapers about NSA snooping on foreign leaders, has led to protests from leaders in Europe, Brazil and Mexico. But, so far there has been almost no effort to change foreign surveillance programs. The proposed changes in the Senate Intelligence Committee bill include requiring the NSA to publicize annually the number of telephone metadata inquiries from the NSA database and the number of times such queries led to an FBI investigation; a limit on the number of people who may authorize such queries; a requirement for a "reasonable articulable suspicion" that someone is associated with international terrorism; and a five-year limit on the retention of the records. The bill would also require Senate confirmation of the NSA director and the review of any intelligence programs conducted on presidential authority every five years. Also, under the proposed law, the secret court that oversees the Foreign Intelligence Surveillance Act would be allowed to bring in third-party lawyers to provide independent views on novel cases before the court. Sen. Dianne Feinstein, D-California, chairman of the Senate Intelligence Committee, said the bill, called the FISA Improvements Act, would "increase transparency and build public support for privacy protections" in the law. She defended the NSA's bulk collection of phone records saying it is "legal and subject to extensive congressional and judicial oversight." The Senate Committee bill Thursday passed by an 11-4 vote. Among those voting no was Sen. Mark Udall, D-Colorado, who for years has pushed for changes to the NSA programs. 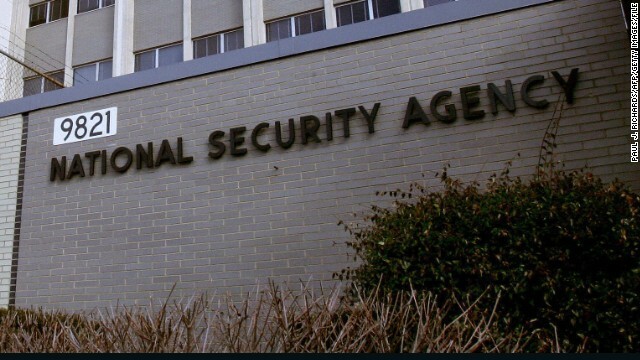 "The NSA's ongoing, invasive surveillance of Americans' private information does not respect our constitutional values and needs fundamental reform - not incidental changes," he said. "The Feinstein proposal ensures that the NSA can continue collecting the records of everyday Americans who have done nothing wrong," said Michelle Richardson, legislative counsel for the ACLU's Washington Legislative Office. "This is not reform, but an attempt to put a congressional stamp of approval on gross privacy violations. We will fight this bill for what it is - a way to make the worst abuses of the Patriot Act permanent." National Security Council spokeswoman Caitlin Hayden said regarding the reform initiative: "We appreciate the leadership of Chairman Feinstein, Vice Chairman Chambliss and the Senate Intelligence Committee on important national security matters. As the President has said, FISA is an important tool in our effort to disrupt terrorist plots. He believes that there are steps we can take to give the American people additional confidence that there are added safeguards against abuse, including putting in place greater oversight, greater transparency, and further constraints on the use of this authority. We look forward to continuing to work with Congress on these important reforms." Feinstein this week lashed out at the NSA after the disclosures of snooping on foreign leaders, including German Chancellor Angela Merkel. The White House and Feinstein both tried to distance themselves from the snooping, saying they were not aware of the targeting of Merkel's personal cell phone. Feinstein has announced that she would lead a review of the NSA's programs. David Grannis, staff director for the Senate Intelligence Committee, said at a legal forum hosted by the American Bar Association on Thursday that the review has only just begun and will take months to complete. A separate bill introduced this week, led by Sen. Patrick Leahy, D-Vermont, and Rep. Jim Sensenbrenner, R-Wisconsin, also proposes changes to domestic surveillance programs. The Democratic Congress started setting limits . Regulations equal less money limits equal less security . Hey, StanCalif, you do realize that the NSA knows your real name don't you! I keep reading about all this "extensive congressional and judicial oversight" of NSA. However, it is always a big surprise to everyone (responsible for this oversight) whenever new leaks come out about NSA "activities". It seems that proper "oversight" simply means "looking the other way, do what you want"! Isn't anyone awake in Washington DC today?